Sweden's solo project Grift has returned with a new recording and on this release moves away from the atmospheric style of black metal to focus more on a neo-folk sound and this is a review of his 2018 ep "Vilsna Andars Boning" which was released by Nordvis. Folk instruments start off the ep along with some acoustic guitars a few seconds later and they also use both finger picking and full chords along with some percussion's being utilized at times and the vocals are all done in a clean style and both of these songs are folk versions of previous black metal tracks he has recorded and the second track is long and epic in length and also brings in a few seconds of depressive black metal screams. 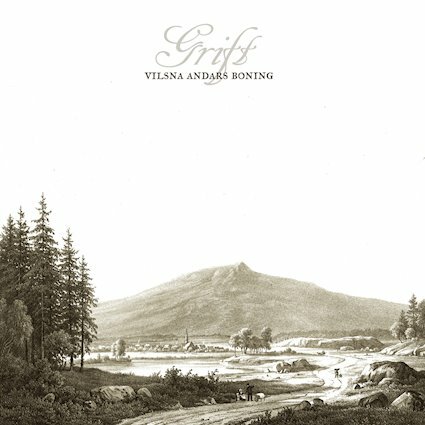 On this recording Grift takes a couple of songs off his previous release and does them in an acoustic neo-folk direction and strips away the heavy instruments and harsh vocals, the production sounds very dark while the lyrics are written in Swedish and cover dreams, heritage and a forgotten ancient past. In my opinion this is another great sounding recording from Grift and if you are a fan of neo-folk, you should check out this ep. RECOMMENDED TRACK "Dararnas massiv". 8 out of 10.